Quality components are the secret to a lasting, quality roof or siding installation. No one understands this better than Superior Products, Inc., which is why we have been the premier provider of steel components to Alaska and all of the Lower 48 States since 1984! Come to us for panels, trim, fasteners, snow retention products, sealants, and other accessories! 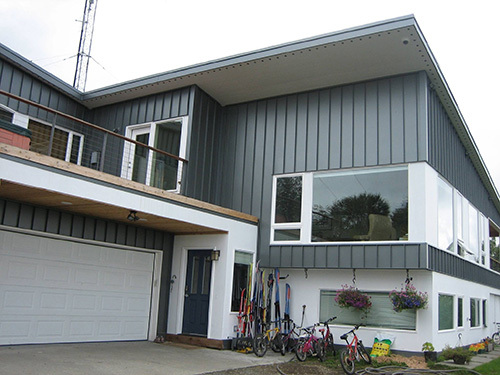 If you’re seeking a trued, reliable, quality source for steel roofing and siding products, our name says it all: Superior Products, Inc. is the premier provider of components for metal siding and metal roofing in Alaska and beyond! We have decades of installation experience and strive to provide a level of service that is second to none. Our product offerings include concealed or exposed fastener systems, metal insulated roof and wall panels, metal soffits, fascia panels and full wrap flashes, snow control products, and much more! We’re an Alaskan-Native owned business. Our team is extremely service-driven and customer-oriented. We offer an unparalleled degree of service and experience. We specialize in metal roofing and siding. Our team has over 20 years of installation and field experience! We’re an A+ Rated Better Business Bureau company. We’re a Made in Alaska Program member (Alaska owned and operated). We’re affiliated with the Associated General Contractors of America and the Anchorage Home Builders Associations. Need Roof or Siding Components? If you’re looking for high-grade roofing or siding components for your residential or commercial building, get in touch with us today! We’re happy to provide estimates to all interested customers.